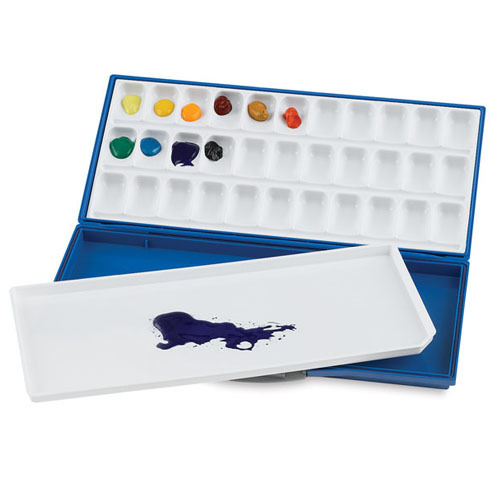 Dual use Airtight Palette that offers a multitude of wells. Lid functions as an extra mixing area a needed: when closed offers an airtight compartment. Perfect for classroom or occasional users to Professionals. Size 6x12.5x1.125" folds into one 5x12"